Hair Color is Not Something to Play Around With! The word change can either excite you or terrify you, depending on your personality. I have friends that are thrilled by change and change as much in their lives as possible all the time. Then, I have friends who are comfortable in the rut, and change is like a disease to avoid. I can’t quite decide where I fall in this scale. The more I thought about it, a few funny stories came to mind, and I realized that most of the changes we face are not by choice. Even the adjustments to the most mundane things in life make us squirm. Uh-oh. Have they changed my toothpaste or deodorant again? Or worse, the packaging? When I get the notification that my cell phone needs to be updated, I just want to scream, “Why?” And right when I thought I was learning to use the thing! And let’s not forget the shifts in the digital world. I mean really—the transition from TV to Netflix is terrifying for me. I often laugh at change when it comes to me. I recently got new glasses. I actually admired these frames on a friend at church, and she gave me the information so that I could have a pair just like hers! Now, she is a highly sophisticated person, and the glasses look fabulous on her. But when I got them, I was unsure. I already had the lenses put in, so I had no choice but to wear them. I secretly hoped no one would notice, but they did! In fact, young people complimented them most often. Hallelujah! Change really hits home when it comes to hair color. I mean this is just not something to play around with, people! I had been coloring my hair at home before the highlights, lowlights, and other design elements that are popular today came in at hair salons. I had my formula perfected. Then, one Saturday morning, I decided I would try a natural product that was supposedly safer. Was I feeling guilty that I had been damaging my hair? Who knows. I went home, shampooed the “natural” auburn color in, and whammooooo—Christmas red! Oh my gosh… OK no problem, I can fix this. Six washes, and it will be out because it’s temporary, right? Nope, not temporary. In fact, it got brighter with each wash. So I put on a ball cap and returned to the store to purchase another color to cover my rather festive locks. But again, no luck. Did I mention I was playing the organ the next day at church? I am in full blown panic mode at this point. So, I remembered the temporary color that my grandmother used, and I returned to the store to buy some of that. I finally toned down enough to get through church the next day. I was a mess all due to change. From that day on, I now have a wonderful person who handles my hair. Imagine if I had my stylish glasses back then, the kids would have really loved that! On a more serious note—I believe we have to simply embrace change. It is a part of life that comes with maturing and entering new phases. We learn a lot about ourselves when we experience change, because it causes us to persevere. We grow along the way as we enter new times, and hopefully, we will handle them well. What is your take on change? Made a decision when very young that I would embrace change. Now at that very young age I didnt quite say it that way just that I loudly proclaimed that I wasn’t going to do what my family did. I remember sitting on the back steps as the sun went down and watching planes fly far over head that one day I was going to”far away places with strange sounding names” . I love how my dreams came true because of all the changes God put before me and that I accepted. I’m not a huge fan of change. I go so far as to being content eating the same meal on a daily basis. I do change up what I have for tea based on mood mostly, but I still tend to repeat certain ones more than others all too often. Your hair colour story reminded me of a past conversation with my younger sister. I have very long hair, i.e. sit-on-it length. When it started getting more than just a few gray hairs, I started colouring it at home. What a task and what a pain. I finally said, “Forget it.” I fell back on what my mom used to say when someone complimented her on a small section of white hair that they’d thought she’d had dyed that way on purpose. She said, “God and my children gave me this white hair. I wear it as a badge of honour.” When I stopped trying to cover up my gray, my younger sister begged me to get my hair dyed, she even offered to pay for it. When I asked her why she was so keen on me dying my hair she told me it was because it made her look old when we were together. Since we live a six hour drive apart, and she never visited me, I didn’t figure that would be a problem very often and ignored her. You know how you do with little sisters. When gray/white hair became a hot colour I pointed out to her that I’d been ahead of the trend for years. She didn’t buy it. No, change is rarely easy, much less comfortable. I cannot help but think though that it’s all too often God’s method of getting us where we need to be, or should have been long before He brought about the change. Thankfully, we know He will always be there every step of the way. What a comforting thought during an oftentimes uncomfortable life change. I identified so much with your story. A decade ago, a stylist talked me into “going blonde,” and like the old saying, I really did have more fun–until a touch-up left me with scalding orange roots. Now, at 65, I try to think of change as a door flying open. I may step through cautiously, but I keep going. Loved your story, Phyllis! Also loved the many comments regarding your story and their stories! What I have discovered about change and there has been a bunch in my life is that it enlarges my ability to trust God more and more for which I am truly grateful!! That is so true Kay. My sister and I have a philosophy regarding change…our motto is “Roll with the flood” . In other words we just go along with whatever is happening in our family life because the decision to change is not always in our control. Though I enjoy most changes, some take a bit of convincing. It took a year for my hairdresser to sell me on coloring my salt & pepper (mostly pepper) hair a nice auburn. It was well received by family and friends and I wore the same color for about 20 years, even after moving to a different state. Following a bout with cancer (I didn’t lose much hair), I decided it would be healthier to reduce chemical exposure so asked my new hairdresser to cut it short and just let the color grow out. It took a few months, but life is much less complicated now that the hair is wash & wear and I love the almost platinum white with a few dark hairs blended throughout. I’ve learned that it’s a rare change that doesn’t bring satisfaction. I would love to grow mine out…..a dream. I favor change and style and eye glasses! I have a collection for different times and moods. I’ve been a red head for years and have finally found the perfect color for my complexion and hair style. It sorta becomes your trademark or signature look. I’m just happy I’m healthy and able to enjoy being a woman and lady and relish style along with managing an office on a part time basis. Greeting people daily with a positive attitude and i’m also thankful to God that I can make a difference in their lives if just for a few minutes with a smile and a few kind words for the day….that beauty salon is awesome! What a place to be pampered. So happy to see how you enjoy life in the South…I’m just a girlie girl from the west coast that loves life! Phyllis, this is hilarious. The reason it is so hilarious is because it reminds me so of me. I could have written this but I don’t have your talent. The hair thing, the glasses, the new technology..these changes just send me into full blown panic. I am so fascinated and delighted that a person of your stature and success is so open and makes us laugh. I have just gone through one of those make up fiascos. I had always used Mary Kay and all of a sudden they were not making my color anymore. After trying everything else they had, going over to the Lacome counter for hours, I finally found something at Walgreens by L’oreal. I have extremely fair skin and it is difficult to match. I had not gone there for makeup but a very sweet girl in the cosmetic department ask if she could help. I gave her my long story and she said confidently ” I think I have just exactly what you need.” AND SHE DID! My husband is so concerned of going through this again, he ordered five tubes from Amazon so I wouldn’t run out in the foreseeable future. Thanks Phyllis. Change is a part of life and I try to embrace it with a good attitude because I know that God can use it to mature us into who He created us to be…but I do find the loss of loved ones…such as our parents…to be the most challenging change. At 68…which has to be still fairly young…right?? ?…I am determined to age gracefully…but there are days that can be a challenge, also. But by God’s grace, we can overcome these challenging changes in life. Though I know you must always be changing things in your magazines, Phyllis, I am grateful that you remain faithful to bring to us beauty, grace and encouragement to light our paths. Thank you and God bless you and yours! I told you your new glasses were cute!! Yes you did and that is a huge for me!! Change, it is hard to do, about 4years ago my hairdresser, decided to retire, oh no, I had been going to her for 30 yrs. It took about another 2 yrs to find someone I liked as well, really even better, she said let’s put some highlights in my hair, I said the last time someone did that (I was 20 yrs old) I looked like a skunk! She said if I didn’t like it she would put my original color back. I loved it, it made me look 20yrs younger. Do not be afraid of change, I know, I don’t like to change my passwords, learn to work a new cable companies remote controls. But really change keeps you young! I hate change. At 35, I had never colored my brown hair or even had highlights and my husband was begging me to just “try” being a blond. I think blonds are beautiful and so I thought, “It’s just hair, and I can change it back”. I found a hairdresser, who took me from complete brown to complete blond in one sweep. The next day at church, a friend came up to me at Sunday School and shook at my hand and said, “So glad to have you at our church. My name is so and so…” I was so embarrassed. Blond was not me. No one complimented it and everyone stared a hole through me. My husband loved it, but I hated it and had to wait 6 weeks until I had my next appointment and get it dyed back to brown. We have laughed so many times about that. Twenty years have passed and I do brown with a few highlights and I’m happy with that……Now, the best thing about yearly changing eyes are the cute frames available today. I can get into that! And, by the way, you should post a pic of how fabulous you look in yours!! I laughed out loud and then I read your hair color story to my husband and we laughed again…I had the same experience only my hair turned purple. The harder I tried to fix it the worse it became. I ended up at a little shop full of Vietnamese ladies who declared my hair looked like a “plum”…I wasn’t’ laughing that day! Change can be a hard lesson! Most of the time I am open to trying new things, however major changes that are made without consulting those affected by them frustrates me, such as when technology is updated just to make it look better or more modern, but how well it works is not improved. I don’t like that we have been forced to change our phone service to one that is internet based and relies on electricity as our power sometimes goes out. The old style of landline phones worked even when we lost power which was reassuring. Other forms of change can be good such as trying a new style or haircolor, (I have experienced similar issues to yours Phyllis, except mine turned bright orange! Like you I leave it to the professionals now.) I never thought I would look good as a blond but my hairdresser made it happen and I am loving the results. I am also open to trying new foods and have discovered that sauteed beet greens are delicious. In high school my avowed position was to not live my life in a rut! My husband and I accomplished that but sometimes it made life challenging! But never dull! After retirement, that isn’t so impotant now. We bought a house we love and are excited to spend time here. I used to go to our town’s best salon painted the color of the one in the photo and I always felt beautiful and peaceful when I was there. They painted it an awful pea geen and it was out of business in a year. Nobody looks good in pea green with foil in your hair. I saw this picture and am going to go from cream colored walls to peach in my sitting room! That’s not just change, it’s progress. Have fun with your new glasses! Enjoy and be greatful for all your blessings large and small. Very timely article! I just resigned from an executive position and am deciding what to do next. A definite change, but I’m filled with great excitement about the next chapter! Thanks for the insights! So….we need to see a photo of you in your new glasses! Just when I think you can’t get more adorable, you write this! For years, I had really dark hair…then decided one day to have blonde hair. For years, it was dark…no gray…then all of a sudden it was “salt and pepper” according to my hairdresser, and the other day she said it is 70% gray! So, I’m ready for something new! 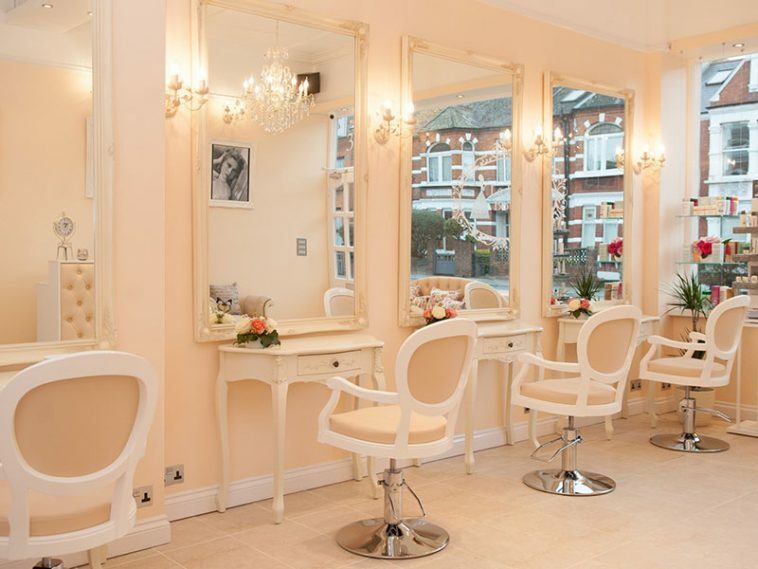 I love the picture of the salon. Why not go to a pretty place to get “pretty”. And yes, change is hard, but I often overthink things and realize later that it was not that serious. You would have thought my first hair color experience was an act of Congress. I learned that I often have big expectations because I love to do things on a big scale in excellence. It is just part of who I am. If I make cornbread, I want it to be perfect and rise to perfection. When I do my makeup, I want to look camera ready. When I make my bed I want it to look like Martha Stewart took over. It can be a bit much to others but as for me, it is who I am. To end, I believe God sends us down paths of change because he is teaching us lessons we would never learn had we not experienced the change. For me, I have been able to see people in a different yet better and loving way, and I know that there are great promises still waiting to come to fruition because of change. Thanks for the article and everything on the site is always so beautiful. Just have to wonder what God was trying to tell Phyllis with Christmas red hair, I laughed so hard I spilled my coffee. You see I know Phyllis has a serious side, but a great sense of humor.. The picture I love is the one of her slinking into Walgreens in a ball cap. Oh my, that one made me laugh, too. 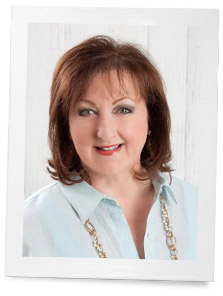 Love you Phyllis Hoffman D-keep blogging. You’re the real deal. Debbie Thank you. Just true life experiences. My grandmother had the most gorgeous gray hair and I wish I did too, but no……spotty. I am one of those people who do not like change . In fact, I find the changes are always not to my liking. It is funny that now at the age of 59, when I get together with my girlfriends for lunch or coffee, that is the number one thing on our discussion list! Sometimes the changes are trivial but sometimes not. I worry about all the history that gets erased when beautiful buildings are torn down or tradition is replaced. Other changes can turn out to be good or just down right funny and yes, Phyllis, I think hair colour and styles bring about the most laughter!! I will tell you about my Hollywood haircut one day…..its worse. Good Morning Phyllis, I admire people who seem to embrace change quickly. I tend to treat change like a perennial plant, sleep, creep, and hopefully leap.